Well the week has finally arrived and I see the news is beginning to be hijacked by news of Kennedy 50 years on. I know the story so well from all my research yet it never gets old to me. I’m not sure why that is. I have watched and listened and read with interest all the many theories and wonder if that serves only to confuse more, but still I can’t get enough. But for me history really comes to life when you can imagine yourself there. So many times my psychic character took me to the grassy knoll. I felt as if I was standing right there with her. I love the whole idea of letting the past rub up against the present, fact against fiction as if they are part of the same thing. I remember how Edith, our mother, is standing on the grassy knoll as the motorcade turns the corner. I saw the cars, the Presidential limousine and felt the surge as people pushed forward. There weren’t that many people on the knoll, which is why they chose to stand there — to get a better view. Or is that the reason? They all think it’s a firecracker at first, but it quickly becomes apparent it’s gunshots. Gunshots being fired at the President. It’s a moment in time so many of us remember, even those who weren’t born. But Edith Boone will never forget this moment, she will get stuck there. She will get stuck there because of what she does when the gunshots fill the air. She lets go of her little girl’s hand. She watches the panic, the confusion. I chose to use real images so it’s when Edith sees the Newmans, a mother and a father laying across their children on the grass she remembers her little girl. Does this make her a bad mother? Would you do the same? But when she turns back to reach for Eleanor’s hand, she’s gone. G.O.N.E. So now folks rush up the grassy knoll and as I stand there with Edith, as Lydia did in her visions, she smells gunpowder. But Edith doesn’t run. She stands still. She stands still and she watches and she mumbles. Eleanor is missing. I loved what I learned standing with Lydia and every time I returned to the novel I felt as if I was in a place I wanted to stay. I hope this comes across in the writing. When I reworked the ending of the novel and walked the grassy knoll again with Lydia I felt as if I had truly slipped inside a moment I did not want to leave. When people tell me they miss my characters and want to go back it seems as if they feel the same thing I did and I can not tell you how special that feels. I hope everyone else feels the same. I’d liked to take the credit for the that but I am convinced I am little more than a channel for their voices. Maybe I ain’t so different from Lydia after all. We are now beginning a HUGE week, and had Parthian not taken a chance on this novel the anniversary would have passed with a tinge of sadness from no one meeting my characters. Characters I breathed life into for so long. Thank God that never happened. I know they were all dying to meet you. It’s going to be an odd week, I will not be Blogging tomorrow as I head off early to Bath for my workshop and a couple of days away with my mum. But I will check in on Wednesday to let you know how the workshop went. It’s a week I’ve been waiting for. I will try to write and work today but then I don’t think I will get much of either done. Then we have the big Essex event on the anniversary on Friday — details below. We have now been bumped up to first class and will be using the church hall itself and what an impressive building it is. It’s going to be amazing. I will show the book trailer again (the new version) and then it will be published to YouTube over the weekend and I will share it here. Also if you missed me on BBC Radio Wales you can now listen again for 6 days, slide the counter to 11 mins, 27 and hear my interview about the novel and the Kennedy. Oh My God people — it really is happening. And I can’t wait! The idea that Kennedy’s assassination was part of a conspiracy and not the official line that said he was killed by a lone assassin, is no new idea. The first book that explored this idea was Thomas Buchanan’s Who Killed Kennedy? that was published in 1964. There are now well over 2000 books on the subject and a 2003 GALLUP survey indicated that 75% of Americans believed in a conspiracy, and that there was a government cover-up. The Warren Commission is now recognised has having serious flaws. In fact the House Select Committee on Assassinations concluded in 1979 that “there was a high probability that 2 gunmen fired at the President.” And that there were 4 shots, not 3 — the one that missed, the ‘magic’ bullet that passed through the President into Governor Conally, the fatal shot and one from the grassy knoll. Modern theories implicate involvement of the CIA, the Mafia, anti-Castro Cuban exile groups, the US Military, Lyndon B Johnson, Fidel Castro, the FBI, J.Edgar Hoover, the KGB and more. In fact with regards to Kennedy’s assassination, it is regarded as the mother of all conspiracies. I can not tell you how many books I read while researching for my novel, even though my novel is not a conspiracy novel per se and nor does it attempt to shed specific light on any one theory, I needed to know and the more I knew the more I needed to know. It is a minefield out there and each book, even with completely contrasting views was equally convincing, which makes it hard to know who to believe. Many, including JFK the Oliver Stone movie (1991) implies a combination of many of these forces at work. While the findings of The Warren Commission published in 1964 alleged a lone assassin, the interviews were conducted by the CIA and the FBI so there might be a good reason for the shortcomings of this report. And I am inclined to think there is a combination of many that brought about this assassination. Because I was not alive at the time, I don’t have a firm grasp on what it was like at the time in terms of political unrest and how people really felt about Kennedy. My reading suggests he was a popular and charismatic President, but scratching below the surface I see the issues he faced, the Bay of Pigs being cited often as a motive for his murder, with a lot of anti-Castro exiles wanting to return to the US and the failure of the Bay of Pigs being a reason for unrest. Others cite his wanting to have little involvement in Vietnam — a decision I believe was reversed with various policy overturns after his death. Lee Harvey Oswald really fascinates me and the more I read, while he ties into and has associations with many of the groups alleged to have been involved in the conspiracy, the more I am convinced that he could not have acted alone. But here lies the issues with theories and books reportedly non-fiction, people think that means fact and they think that means truth — when what they are reading and what I found convincing — is OPINION and that is a very different thing to FACT. What I do know is his assassination is a moment in history that shook the world and still does. What would the world have been like if he hadn’t been assassinated? Now that’s the stuff of novels and there are a few that back this alternative history angle, I read Idlewild recently by Mark Lawson. And Stephen King’s excellent 11/22/63 also addresses this question by setting up the premise that our time-travelling protagonist could kill Oswald — but he needs to be sure first he acted alone and this is the main foundation of his novel. With the limited knowledge of history I confess to have, or perhaps I should say political history I can not endeavour to answer the question of what would have happened in terms of US and world politics if Kennedy had not been assassinated that’s more for those who know and it has been done well. The only question I ask in relation to this in my novel is: would Eleanor Boone still have disappeared if Kennedy had not been assassinated? But you’ll need to read the novel to be able to answer that. No matter who you are, I think even fifty years on we still wonder about that assassination. The very fact it was captured on a home movie and that can be viewed in full colour digital enhancement on YouTube, makes it a very public murder. Shroud that in mystery and conspiracy and the huge number of sealed records and you have yourself one helluva conspiracy. And one I know will never go away. And it surely inspired my novel — only the real question now is what happened to Eleanor Boone? 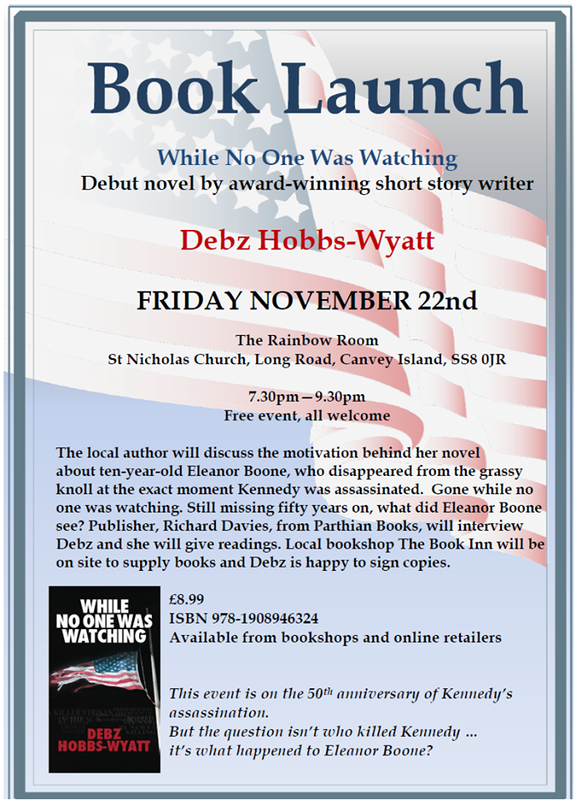 I am having my first Author Event as a published novelist tonight. It is an odd thing. I am in essence a shy person and it’s only through validation of my writing that I have gradually gained the confidence to stand in front of people to run workshops and give readings and I am now comfortable with that. But being in my own spotlight (this is someone who would never stand on a stage and act or sing (a good thing, trust me!) — I am the one who writes the stuff and creates the drama, and doesn’t perform it — so suddenly taking centre-stage is something I will have to learn to deal with. But actually I am pretty excited, even if the event is all about me (oh God how egotistical does that sound — well you know what I mean.) Actually it’s all about my characters — this is their moment to take the spotlight. I can handle it better if I think of it that way. Tonight is a pre-launch to get ready for the BIG day tomorrow. I have an early nail appointment and things so no blog tomorrow but you can bet there will be a report and photos of the events here next week. One month away from the official launch event on October 25th ( just a couple of days shy of the official launch date on November 1st) I am thrilled to be able to reveal the cover of the first edition (50th Anniversary) cover of my up and coming debut! I have talked here before the need to get the cover right and there have been many discussions about this one. I might have some news about a second cover, but that’s still in discussion. While it’s a popular saying — don’t judge a book by its cover — I think we do and if the cover catches your attention you have picked the book up, turned it over and read the blurb. And hopefully you’re heading for the till. This cover is bold and it makes the statement it needs to. 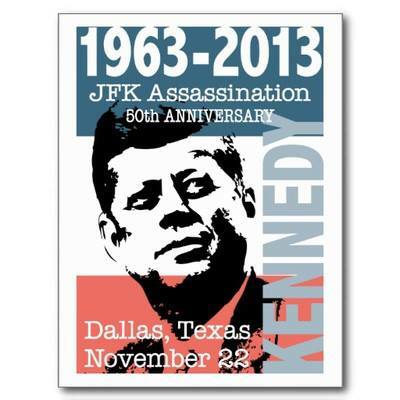 Friday, November 22nd, 1963, Dallas, Texas, 12.30pm. The US President, John F Kennedy, is assassinated as his motorcade hits town, watched by crowds of spectators and the world’s media. Watching too from the grassy knoll nearby is a young mother who, in the confusion, lets go of her daughter’s hand. When she turns around the little girl has vanished. Fifty years later, when everyone remembers what they were doing at that moment in history, she is still missing. Who will remember her? Local hack Gary Blanchet, inspired by the mother’s story, joins forces with former police psychic Lydia Collins to seek answers. 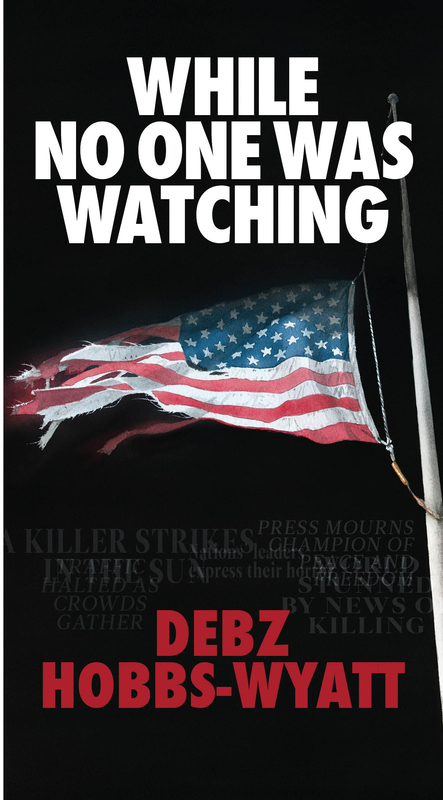 Risking ridicule for their controversial theories and with a classroom shooting close to home to deal with, they re-examine the evidence from that day, study footage and look at the official report for details of witnesses in the JFK case. But this time they’re not looking for a man in a crowd with a gun; they are looking for little Eleanor Boone. Gone, while no one was watching? Maybe someone was. Last night I chaired the local writing group and while we didn’t have time for a writing exercise I did take along a book of interesting images that could be torn out and used as writing prompts. While I work from home as a writer and have to confess that I don’t find I need such prompts to get writing, it is a good device to use when you are short of inspiration. So it will be interesting to see what work is produced. I have talked before about where ideas comes from and I think often they just come, sometimes while we’re sleeping, sometimes while we’re washing up, sometimes when we’re doing nothing at all. But I think we all know when we’ve grasped a good one. I guess the idea that started While No One Was Watching was like that. And I knew it had something. And what’s more it needed more development than just existing as a short story. 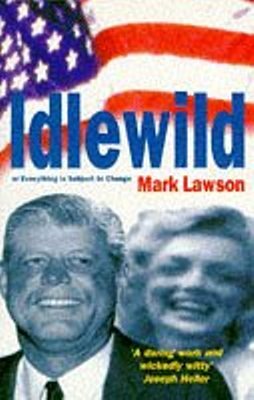 I am loving the idea of alternative versions of history and recently a book was recommended that was written for the 30th anniversary of the Kennedy assassination by Mark Lawson called Idlewild. This is the original name for JFK Airport that was renamed after this death. Lawson creates a reality in which Kennedy survived his assassination attempt and woke up after life-saving surgery at Parkland Memorial Hospital. A year before that Marilyn Monroe survived a suicide attempt. I am only at the beginning but I love the use of alternative scenarios. I touch upon this in my own novel at the end in a what if moment. — what if there hadn’t been a gunshot would Eleanor Boone have still disappeared? Yes I know it’s nothing new and there have been many books and films that have used this premise but I still find is fascinating. Stephen King’s 11/22/63 uses a similar idea that if he can go back in time and stop Oswald what will the world be like? But the premise here is he had to be sure Oswald was a lone assassin or killing him would not alter history. I loved this book as you know. What still stays is this idea of moments in time when if one thing was different – what would’ve happened? This novel is a time-travel one and what stays with me is this notion that the past is obdurate, an expression used repeatedly; i.e. it tries to stop itself being changed — but it can be changed. Loved it! Recommended! Alternative histories are indeed an interesting premise for an essay I think, and indeed a novel. And that’s the kind of idea that really sparks my writing and my desire because it makes you think — right? And it makes me think — why didn’t I come up with that? How do we hit on these BIG ideas but have something no one else has done? But I do love the way ideas come. As I was sitting in the writing group last night another idea formed. This one much simpler. Starting soon I would like to set up a place, be it a Facebook page or a space on my website where people can write their own messages about Kennedy, where they were when they heard. It’s such an iconic moment in history a lot of people remember. So I plan to set something up. Of course I wasn’t born, but look how much that moment has still influenced me!